McGraw has Mathewson, who has been rested four full days, and should be in even better condition than he was when the Mack men defeated him. Marquard has rested five days, and should be fit…The big point is that McGraw can send Matty or Marquard in…feeling certain that they have been rested sufficiently to be physically strong. The opportunity to use Mathewson in two straight games undoubtedly works to the Giants advantage. This is definitely a team with two great pitchers and then three guys who are second tier. Had the game been played as scheduled, they would have had no choice but to use Red Ames, Hooks Wiltse, or Doc Crandall. None of them duds, but none of them Matty either. 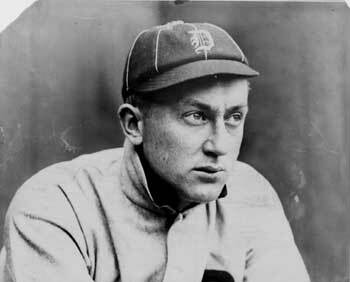 Now Mathewson, who went 3-0 in the 1905 World Series against these A’s, can aim for his 2nd win of this Series, and if he does so, tie this Series at 2. As for Cobb? Well, the 24 year old center fielder is coming off a season for the ages. He hit .420, knocked in 127 runs, and stole 83 bases.